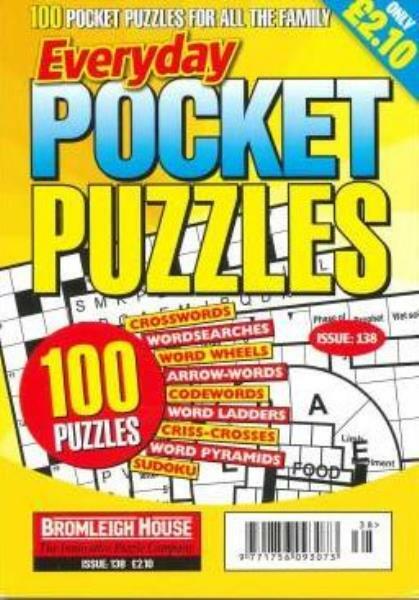 Everyday Pocket Puzzlesprovides convenience as well a really challenging selection of puzzles. Buy a single copy or subscription to Everyday Pocket Puzzles magazine. A comprehensive mix of different puzzle types all in a small “take it anywhere” format. Everyday Pocket Puzzles slips into a handbag, or a jacket pocket.